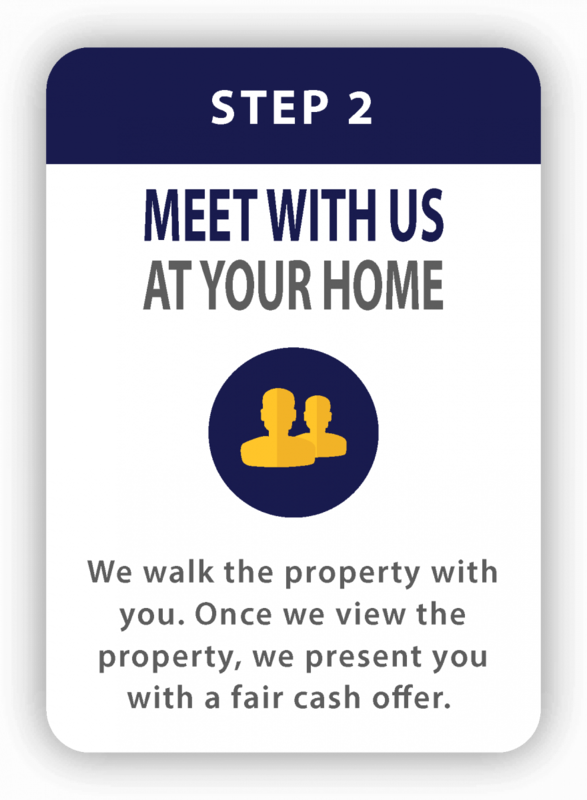 Take a look at our process below to see how easy it is to sell your house without the hassle of listing. 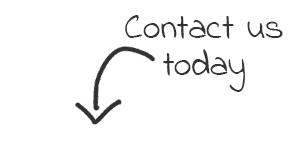 If you’re ready to get your no obligation cash offer from Cream City Home Buyers, tell us about your home below. Okay, that all looks easy, but it still doesn’t really answer anything, right?! We understand that many of the people we deal with have little to no real estate experience. Selling a house can seem like a very big deal if you only do it once or twice in your entire life, and because sellers are normally unfamiliar with the process it can put them in a vulnerable position. 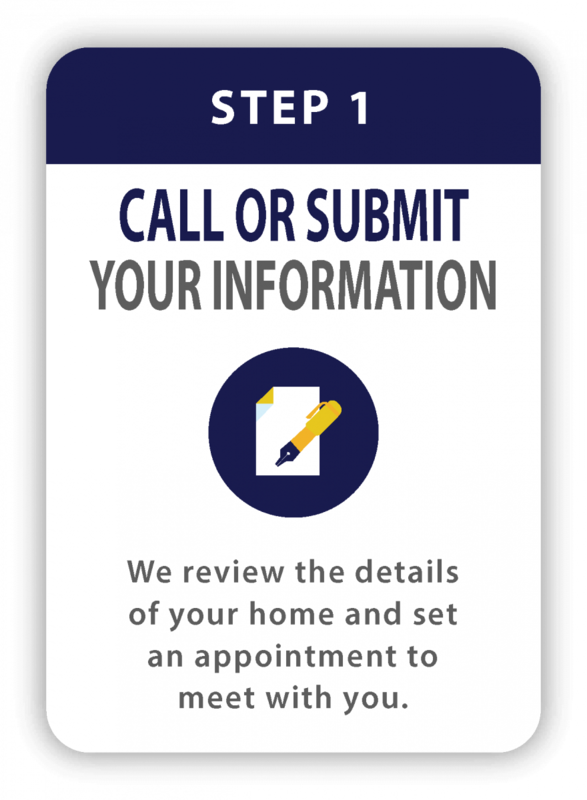 At Cream City Home Buyers it is our personal and professional values that we always try to be as honest and transparent as possible. 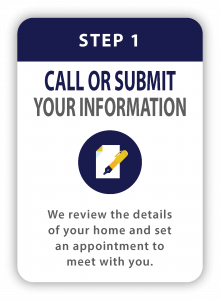 We want you to know that you’re dealing with a straight shooter when you reach out to us – because real estate is very personal and the stakes are very high. It’s important that you know the company you’re dealing with is honest. You can read about Who We Are Here about Our Mission Here. Okay, Cream City, sure, we like you guys, but what we really want to know is how low is a cash offer going to be? Good question, and, in all honesty, it will probably be lower than you expect. It almost always is, and not because we write lowball offers – we don’t! – but because sellers don’t understand the costs associated with this business and never account for any of them. I’ll walk you through our formula and then give you an example so you understand the process better and can make a truly informed decision. If you’re interested, follow this link to a lengthy blog post I wrote on All the Pros and Cons of Selling for Cash. After that you should also understand how to sell a house for cash. One costs $2,000 but also needs $1,500 worth of work. Once it’s fixed up it would be worth about $3,500. The other car is pretty similar and he’s asking $3,500. Which would you buy? Of course the answer is obvious. There’s simply no reason to do the extra work on the car, much less the possibility of making any money doing it! Selling a house for cash is very, very similar! The numbers are just bigger! 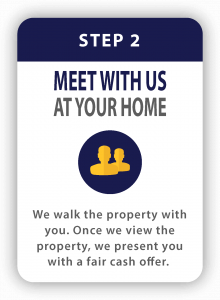 As I mentioned before, our Offers are based on the Market Value of the home, and not the seller’s state of desperation. What I mean by market value is what the home will be worth after we’ve done all the repairs and made it all pretty, we call this the After Repair Value, or ARV. Repair Cost: Simply enough, the cost of performing all the necessary repairs to bring the property up to Market Value (what the neighbor’s houses are selling for). 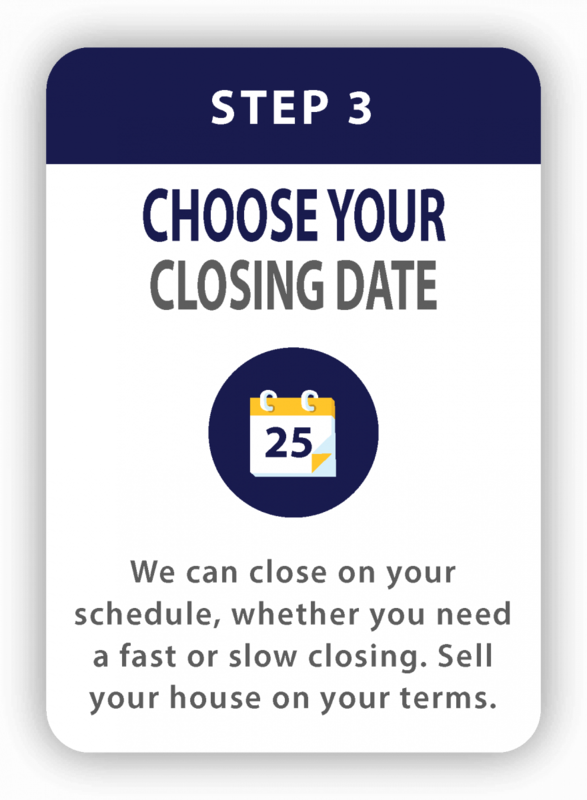 Selling Costs: Lucky for you, when you sell to us you don’t pay any real estate commissions or closing costs, but when we fix it up and then turn around and sell it again, WE DO! 8-10% of sales price is normally accurate here, depending on the value of the home. Holding Costs: The cost of the taxes, water, utilities, insurance, and debt while we are holding on to your property to complete the project. Obviously, the bigger the project, the higher this cost will be (they take longer). 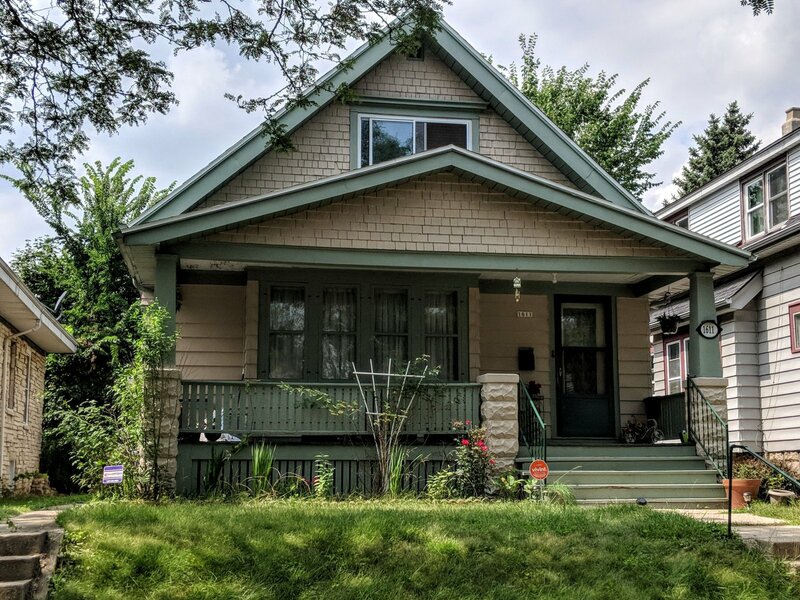 AS-IS Value: This is the discounted value of the property, or what you might be able to get for it if you list with a Realtor and sell to a traditional buyer on the MLS. This is in no way certain (what is?) but it’s a number that tries to take into account updates needed on a property and to price it accordingly. This home today is probably worth somewhere between 155 and 165k (at least I hope! ), so let’s say the market value is $160,000. But, when we bought it, the landlord had just evicted the tenant, so it was empty AND trashed, AND needed some larger ticket items that he had been putting off for a very long time. The property needed about $45,000 in repairs. So, what every seller is hoping, is that if it’s worth 160k and needs 45k in repairs, then we’ll pay 115k… Remember the car? Unfortunately that just isn’t discounted enough, and we simply can’t run a business by paying that much for a house. And that particular house ended up being a win-win for everyone. We bought a house we believe is a good one to hold onto long term, and the seller got rid of all the headaches! We buy houses ‘AS-IS.’ You won’t have to fix or clean anything up, and we’ll never come back to you later. We pay cash. If you have sold any houses before you’ll likely realize that this makes the entire process smoother, easier, and most of all, possible, where bank financing is not an option. 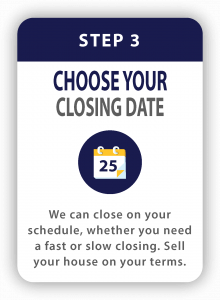 We close fast and you pick the date. We never lowball, and always offer as much as we possibly can and still run a business.